How can I keep active? Playing tennis as a one-off can be managed relatively comfortably, but playing regularly or professionally requires much more consistent management of blood glucose levels. However, that is not to say that it cannot be achieved and people with diabetes can have very successful tennis careers. 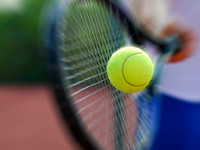 Tennis is an intense sport that can vary in time depending on how quickly games pass. Aerobic endurance is required over long durations, especially if five sets are played, which can take at least three hours or sometimes well over. Billy Jean King won 12 Grand Slam singles titles during her career before being diagnosed with type 2 diabetes. She is actively fighting to raise awareness about diabetes and has been the spokesperson for the Face of Change campaign. The following advice is primarily aimed at people on insulin. Further down the article we will discuss management for people on tablets, including sulphonylureas or glinides. Tennis can be played at all times of the day, so managing your insulin consumption beforehand will depend on when you are playing. If you are playing in the morning, or early afternoon, you could reduce your long lasting evening injection the night before. There can be a temptation to consume glucose immediately before playing tennis, however, this is counterproductive to managing your blood sugar levels. The high counter regulatory response seen in upper limb exercise makes it likely that blood glucose rises in the first hour, and then falls rapidly. Blood sugar levels should be checked at hourly intervals, with glucose drinks consumed during the second and third hours of play. Playing professionally can incorporate many of these practises, but training across tennis, running and weightlifting, among other exercises, will require additional management. Inevitably, competitions will dictate match times, leaving other forms of exercise to fall at different times of the day. It is important to keep a stable blood sugar reading of between 5-7 mmol/l when exercising on a consistent basis, with high blood sugars leading to lethargy and a poorer performance among people with diabetes. When exercising, testing your blood sugar levels within 20 minutes, and then every 50 minutes will allow you to spot trends and manage any falls with glucose drinks. Being able to successfully count carbohydrates will also be important. Knowing how much insulin should be consumed with food portions will allow you to alter dosages up or down, depending on your blood sugar, and plan exercise management for the rest of the day. Playing in extremely warm weather is also something to be accounted for, especially for professionals playing abroad in warmer climates. Hot conditions can result in enhanced insulin absorption and potential hypoglycemic attacks. If playing in the sun, insulin should be reduced further with meals before playing. People on medicines such as sulphonylureas or glinides should be wary managing their diabetes when playing tennis as hypos can occur. If you are on these tablets, you may need to reduce your dose prior to long periods of playing to decrease the risk of developing low blood glucose levels. Check with your doctor prior to playing to see if reducing your dose is appropriate. An alternative to lowering your dose is to take carbohydrate before and during your game or training. It is advisable to test your blood glucose regularly before, during and after playing. You should test your blood sugar levels before going to bed and take carbohydrate if there is a risk that your blood sugar may drop too low over night. You should also remember to take special care of your feet when playing tennis, as blisters can easily develop if your trainers are not a comfortable fit. Wearing your insulin pump when playing tennis should not cause you any problems, although it is not wise to attempt any dives that would bring your pump into contact with the ground. How often should I test my blood?